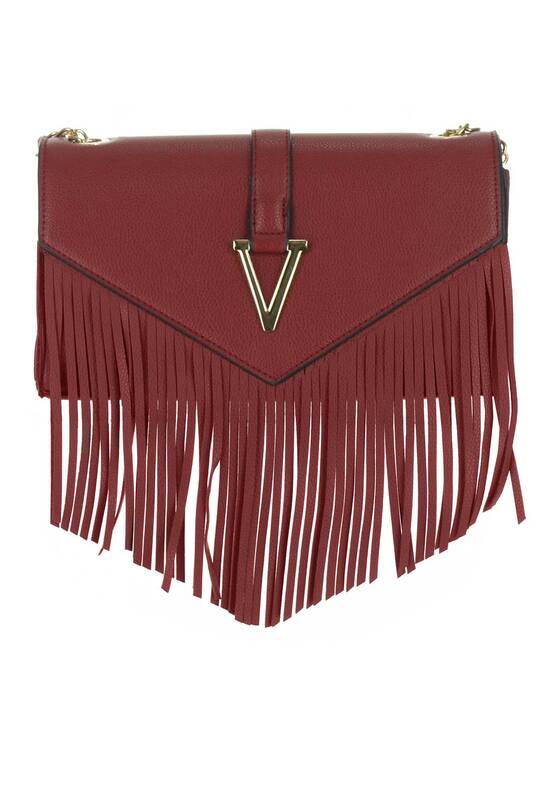 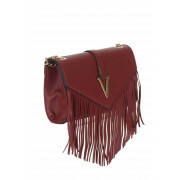 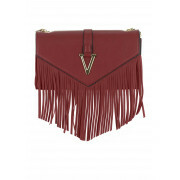 With funky fringing, Boutique Collection present this gorgeous Crossbody bag in its gorgeous dark red colour. 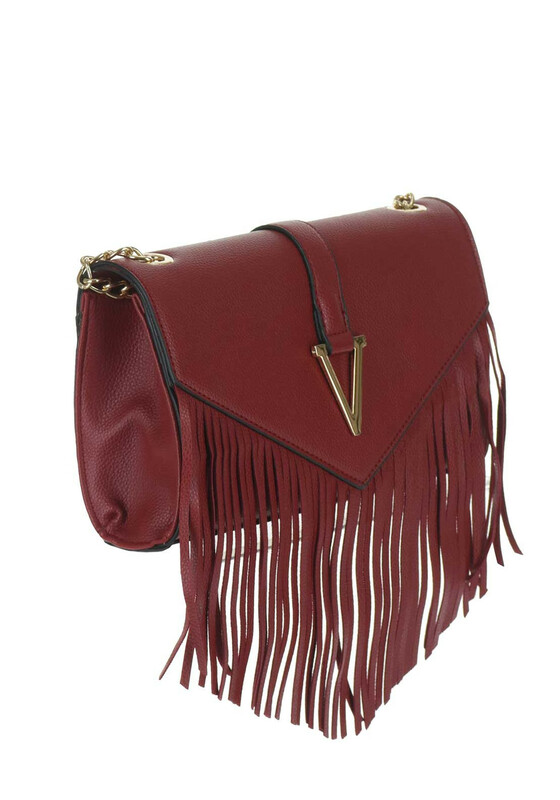 Styled with decorative V hardware on the front and a gold chain Crossbody strap. 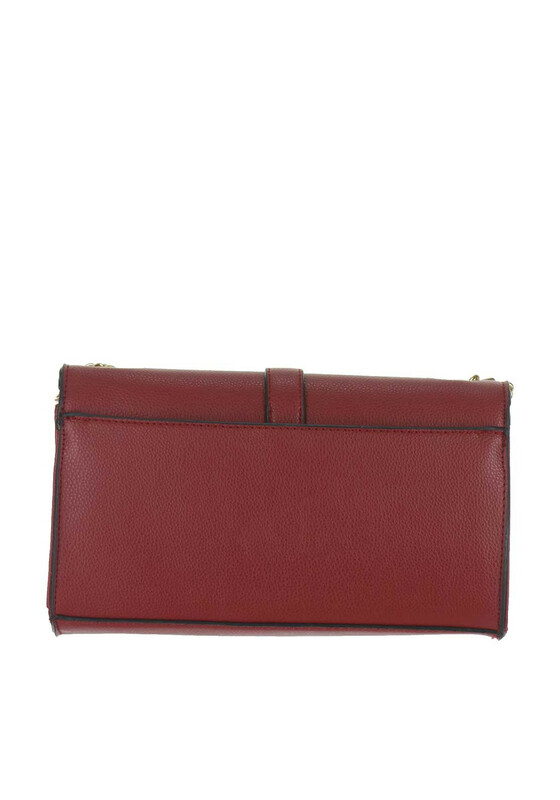 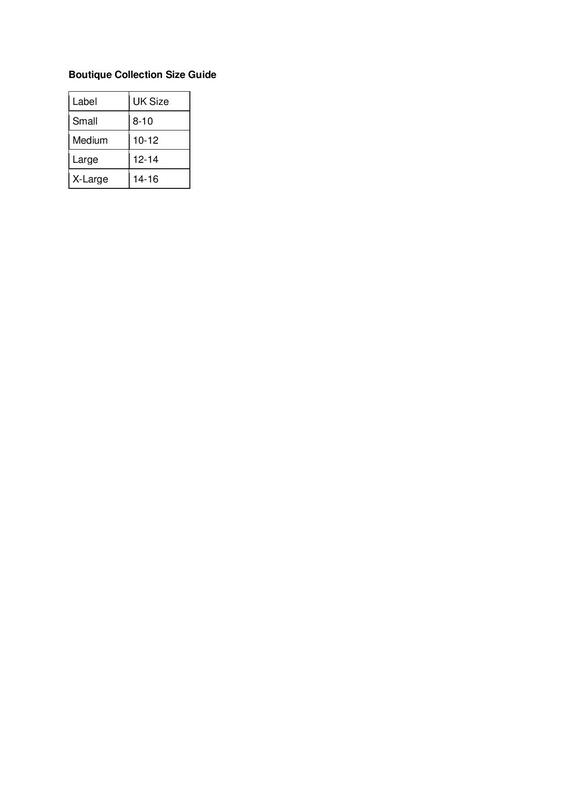 This stylish carrier is perfect for day or night and is the perfect size for your phone, purse, keys and lipstick.